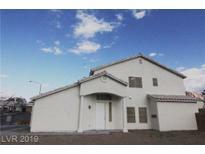 Below you can view all the homes for sale in the Hollywood Vista subdivision located in Las Vegas Nevada. 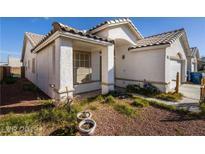 Listings in Hollywood Vista are updated daily from data we receive from the Las Vegas multiple listing service. To learn more about any of these homes or to receive custom notifications when a new property is listed for sale in Hollywood Vista, give us a call at 702-323-5986. Living Room With Gas Fireplace And Built In Entertainment Center MLS#2078725. Luxury Estates International. MASTER SUITE with new and GORGEOUS TILE SURROUNDS and TILE flooring! NEW PLUSH CARPETING throughout! MLS#2078623. Forever Home Realty. Go distance to school and shopping center. MLS#2077699. NVWM Realty. Great location on the very high desirable street. Priced to sell. 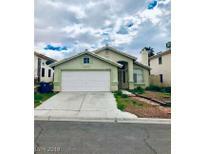 MLS#2078343. BHHS Nevada Properties. Large Master Bed/Bath With Walk In Closet Equipped With Built In Storage, Tub/Shower Combo And Double Sinks. Enjoy Covered Patio In Backyard! MLS#2071762. Turn Key Property Solutions. WOW BELOW MARKET~unobstructed strip views from balcony~NO HOA~5 BEDROOM HOUSE~MASTER BEDROOM SUITE PLUS ANOTHER BEDROOM ON FIRST FLOOR~LIVING ROOM WITH VAULTED CEILING AND FIREPLACE, ISLAND KITCHEN PLUS BREAKFAST NOOK ALL APPLIANCES INCLUDED, SEPARATE FORMAL DINING ROOM LOFT HAS CLOSET AND BALCONY~WONDERFUL BACKYARD WITH PAVING, COVERED PATIO & JACUZZI ON REDWOOD DECK EXTERIOR UPGRADED ELECTRICAL STRIP CITY VIEWS~NEWER HIGH EFFICIENCY A/C UNIT! MLS#2071366. Evolve Realty. To much to list, ask for a list of upgrades. 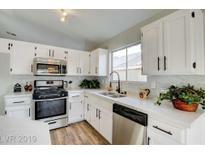 MLS#2035983. Movoto, Inc.